Structure your wealth to avoid undue risk and unnecessary exposure to volatility, allocating your assets so that a downturn in one class should not bring about loss. Build an income-generating portfolio for retirement, tailoring strategies designed to deliver the needed income regardless of market direction. Minimize tax and structure your wealth tax-efficiently. Create a customized, integrated wealth plan, collaborating with TD specialists to cover retirement and estate plans, wills and powers of attorney, insurance, trusts, business succession, charitable giving, and more. Provide for your next generation through tax-conscious, multi-generational wealth transfer. Manage financial complexities after being widowed or divorced, guiding you to understand and take charge of financial matters with compassion and clarity. Learn more about our team members below. Cameron is an experienced investment professional with TD Wealth Private Investment Advice in Oakville. 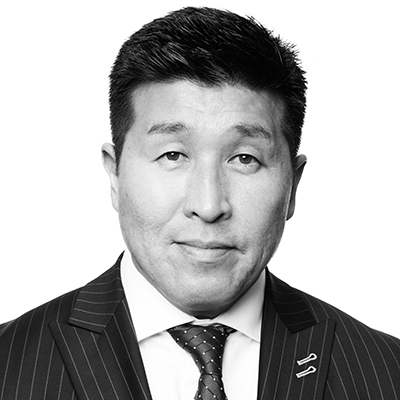 With a sincere passion for helping people, he supports Investment Advisor Andy Kim and his team to build one-on-one relationships with clients and their family members based on trust, communication and a detailed understanding of their needs. Cameron helps Andy to create finely-tailored wealth plans focused on preserving people’s hard-earned capital. 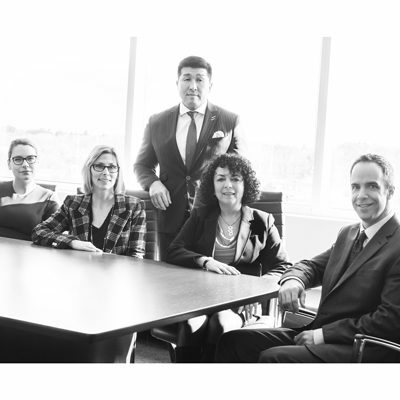 Working in collaboration with TD specialists the team can address the comprehensive scope of clients’ needs, including investment, tax, estate and retirement plans, insurance solutions, trust services and charitable giving strategies. Cameron has twenty years of experience in the investing industry. He has worked as an Investment Advisor with TD Wealth Private Investment Advice and was also a Business Development Manager for TD Direct Investing across Oakville, Niagara and Woodstock for several years. Sue is a proven investment professional at TD Wealth Private Investment Advice in Oakville who supports Investment Advisor Andy Kim and his team to build one-on-one relationships with clients and their family members based on trust, communication and a detailed understanding of their needs. The team creates finely-tailored wealth plans focused on preserving people’s hard-earned capital. Working in collaboration with the TD specialists, they can address the comprehensivescope of their clients’ needs, including investment, tax, estate and retirement plans, insurance solutions, trust services and charitable giving strategies. Sue began her career over 25 years ago, applying her extensive knowledge and trademark warmth to create exceptional client experiences. She supported Andy several years ago in branch administration at Midland Walwyn/Merrill Lynch/CIBC Wood Gundy and respected his approach to client service, so she welcomed the chance to join him again at TD Wealth Private Investment Advice. Sue enjoys building a good rapport with clients and is their first point of contact for all their administrative needs, especially transfer flow in and out of accounts. Hilary is a proven investment professional at TD Wealth Private Investment Advice in Oakville who supports Investment Advisor Andy Kim and his team to build one-on-one relationships with clients and their family members based on trust, communication and a detailed understanding of their needs. The team creates finely-tailored wealth plans focused on preserving people’s hard-earned capital. Working in collaboration with the TD Specialists, they can address the comprehensive scope of their clients’ needs, including investment, tax, estate and retirement plans, insurance solutions, trust services and charitable giving strategies. Hilary worked in the TD Wealth Financial Planning call centre fielding clients’ questions about registered investment accounts and led 20 Associates for the the TD Wealth Financial Planning group in TD’s downtown Head Office before joining Andy’s team, where she works hard to ensure clients receive outstanding service and works closely with Andy to onboard new clients as smoothly and seamlessly as possible. Hilary also helps Andy to host educational client events. Hope is a proven investment professional at TD Wealth Private Investment Advice in Oakville who supports Investment Advisor Andy Kim and his team to build one-on-one relationships with clients and their family members based on trust, communication and a detailed understanding of their needs. The team creates finely-tailored wealth plans focused on preserving people’s hard-earned capital. Working in collaboration with the TD specialists they can address the comprehensive scope of their clients’ needs, including investment, tax, estate and retirement plans, insurance solutions, trust services and charitable giving strategies. Hope supports Andy and his team by making cashflow transactions, submitting applications, keeping files organized, preparing for meetings, and floating to address issues that arise. Hope strives to deliver superior service in order to help build tremendous trust, speaks in a clear language clients understand and helps people decode their statements. She particularly enjoys assisting the team’s senior clients and is currently working to complete the Canadian Securities Course at the Canadian Securities Institute.